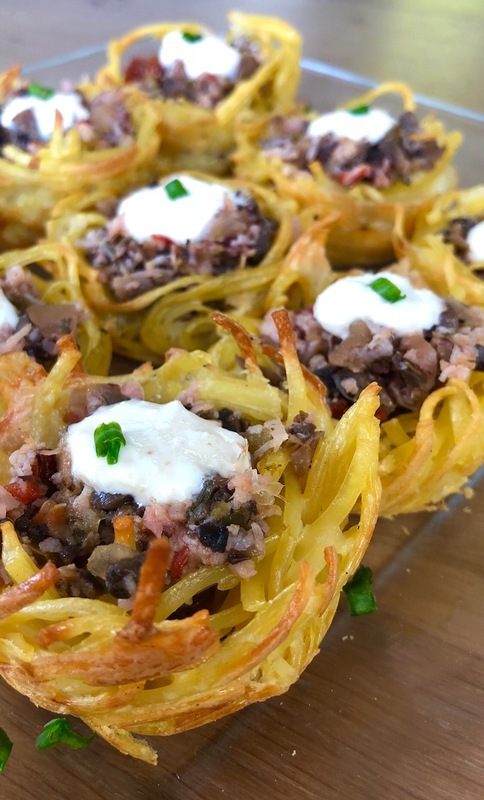 I hope you enjoy this amazing and fun Tuscan Stuffed Noodle Nests Appetizer as much as I did creating it. In this recipe I used BLENDABELLA Rustic Tuscan. OMG a game changer! I used these mixes in 4 recipes this week and all really were out of this world. I did not want to go overboard on posting too many so I decided to share this one today. It was a difficult choice. 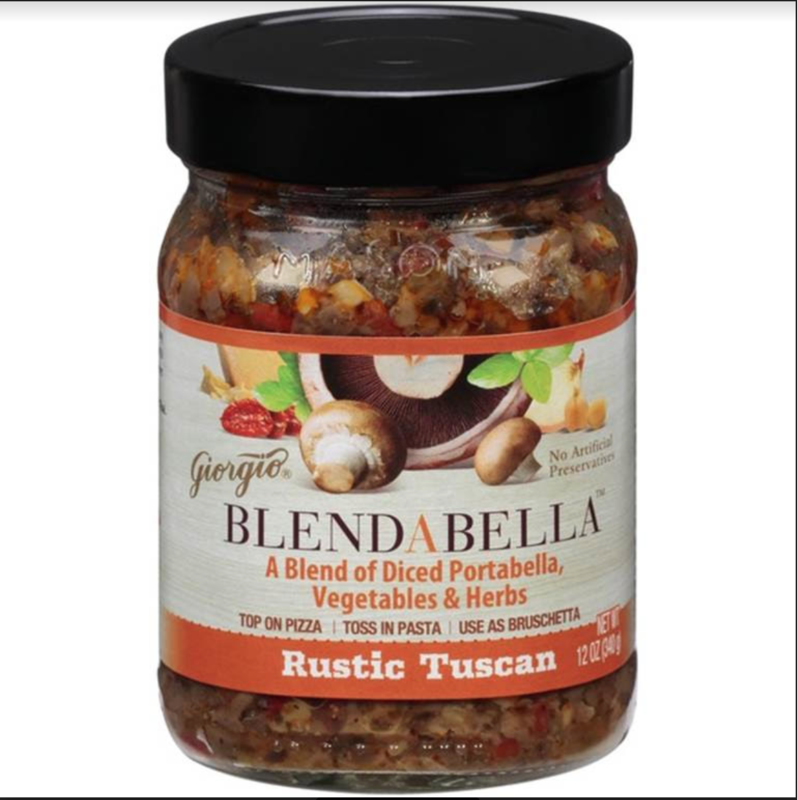 This blend is truly a perfect Tuscan mix of roasted and diced Portabella Mushrooms, Vegetables & Herbs, vegetarian friendly, keto and low carb and is naturally gluten-free. It does have a little delicious parmesan cheese in this one. Those Tuscans love their cheese. I have been to Tuscany and I felt like this mix brought many of those foodie memories back. This Tuscan Stuffed Noodle Nests Appetizer is fun and easy to make. I wanted to come up with something that kids could get into. If you have kids at home they will love helping make these cute little nests as well as the mix. It is an easy recipe and rewarding. Family and guests loved it! In fact I made several extra with plans to pass some over to the neighbors ( who love to test my foods) to get additional feedback, but these nests were all gobbled up before I had a chance. That tells you something. Since Italy is renowned for their noodles I opted to incorporate a little safe gluten-free linguini in this creation. It can certainly be made with spaghetti squash. Just be sure you cool and squeeze the squash out of all moisture. I cannot recommend it with zoodles though. They will turn into a bit of a mush without adding more nut flours etc. and well, it just will not be as great. I will have to create a whole other recipe on that one day. 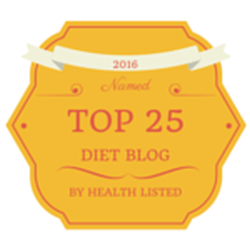 Remember, Paleo and any diet is and needs to be customized for your own body. Many people do well on dairy and many I know enjoy rice, legumes or grains now and then. Just stay in tune with your body and adapt as needed and go with the flow. 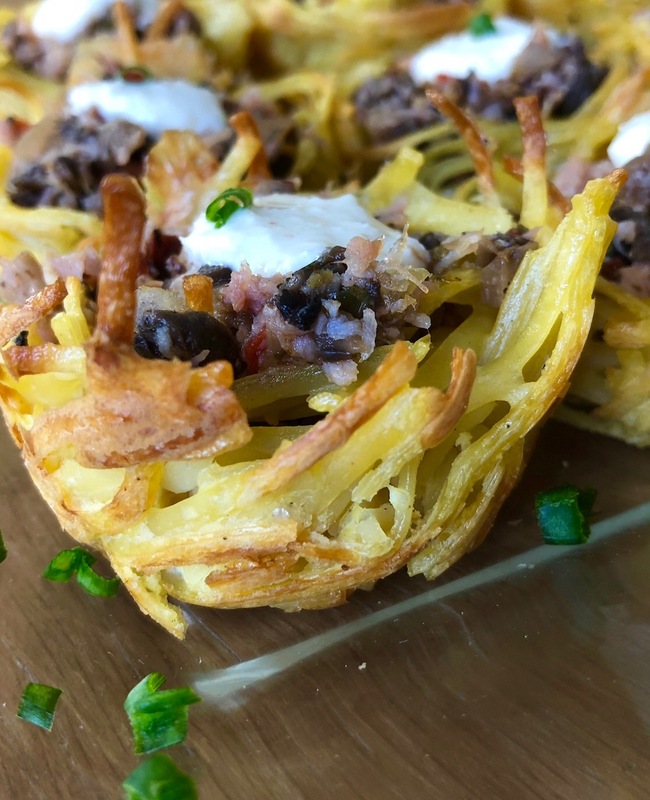 Well, here we go and I will transport you to Tuscany though my Tuscan Stuffed Noodle Nests Appetizer. I do hope you enjoy! 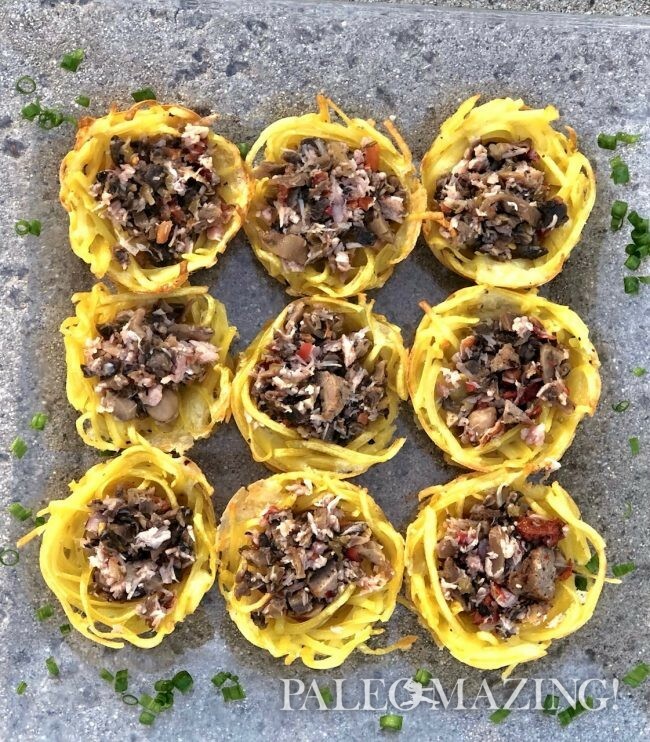 I hope you enjoy this amazing and fun Tuscan Stuffed Noodle Nests Appetizer as much as I did creating it. In this recipe I used BLENDABELLA Rustic Tuscan. OMG a game changer! I used these mixes in 4 recipes this week and all really were out of this world. 1 – 8 oz box gluten free linguini ( see Notes for grain-free option) cooked Al Dente. Grease cupcake tins with a spray or butter and set aside. Place the cooked linguini, eggs, cheese and cracked pepper and salt in a bowl and mix well until all are incorporated. Place a couple spoonfuls of noodles in each cup. Take a small cup or shot glass and press the noodles down to form a mini-cup shape. You will likely need to use your fingers to assist shaping. Place in the center rack of you preheated oven. Bake 25- 30 minutes until noodles firm and turn slightly golden with a bit of crispy edges. While the noodle are in the oven prepare your stuffing. In a bowl mix your jar of Rustic Tuscany with your 12 ounces of sausage choice. Remove the nests from the oven and let cool on a rack 10 minutes or more. Use a knife to gently remove them. To serve warm: Slightly warm in the oven or preheat the filling on stove top before filling the cups. Optional Toppings: aioli or a horseradish sauce of your choice.